Posted in: Neuroscience, Science. Tagged: CO2, H+, Hypometabolic state, Hypometabolism, Proton, Proton Motive Force, Protonmind. Can pH control the brain? The easiest way to see this is probably to test the thesis from the endpoints. Let’s say that the cell volume of the brain to 40% consists of gill cells and that some of them have the capability to regulate pH in the brain, what will then happen if they stop doing that? Or if they are forced to do it cause a lack of substrate. Or if the proton is the main switch in any organisms driven by proton motive force, then what happens if we change the balance for example ad some extracellular H+. Would the mechanism or substance that control the pH of the pH controller in the brain controls the function of the brain? Well if our cellular life are based on proton gradients isn’t our consciousness is based on protons then? The difference of the extracellular and intracellular controls much of the life potential, then the gradient and order and the Ionic order will control the longevity. 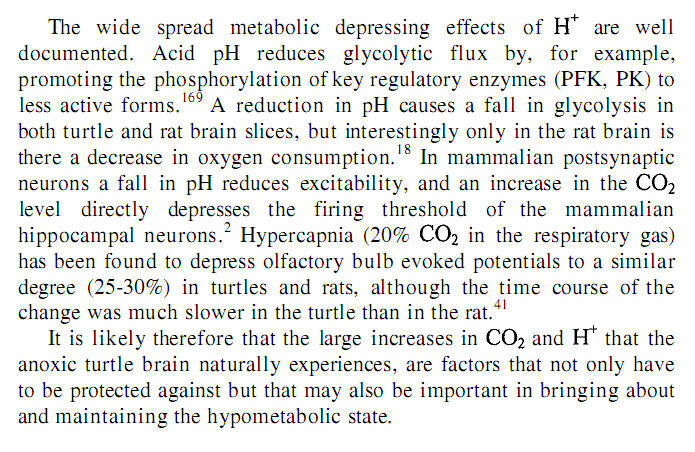 Does it sounds reasonable since up to 20-80% of the cellular resting metabolic rate is required to redistribute ions through Na+ / K+-ATP-dependent pumping system. (Rolfe and Brand, 1996; Priebe et al., 1996; Rolfe and Brown, 1997). We proudly welcomes protonmind to Science & Nuts. Schizophrenia: The smoking hazards and nicotine benefits? Posted in: Addiction, Neuroscience, Schizophrenia, Science. Tagged: CD25, CD69, IL-2, MAO inhibitor, Monoamines, Nicotine, Schizophrenia etiology, T-Cell proliferation, Tobacco. Many persons with Schizophrenia smokes and many of them have become heavy user’s long time before getting sick. There is obviously something with smoking, first of all it is very hard to start smoking and you really have to be strong to start smoking because the instincts tell almost everyone to puke when they inhale the first times. But it is also hard to stop smoking. And it will be almost impossible to predict al the actions of 10 thousand different substances in the pyrolysis cocktail. But something we do know. A possible explanation for the association between schizophrenia and smoking is that smoking acts as an etiological risk factor for schizophrenia. It may be that repeated activation by nicotine of the mesolimbic system over a long time precipitates the onset of schizophrenia in vulnerable individuals. Researchers found that the earlier the age of starting smoking, the earlier was the onset of psychotic illness in women (Kelly & McCreadie, 1999). Interestingly, nicotine acts like other drugs of addiction such as cocaine and amphetamine, activating the mesolimbic dopamine system (Pontieri et al, 1996) and this is probably an effect of the M.A.O inhibiting effects of tobacco. On the other hand genetic and/or environmental factors might predispose individuals to develop both schizophrenia and nicotine addiction. Much work in the genetics of both schizophrenia but very little has been done to clarify the positive effects of nicotine on the immune-response in Schizophrenia. CD25 and CD69 increased the expression when exposed to plasma from persons with Schizophrenia, suggesting that enchanted Il-2 processing…. The most intriguing finding of the current study was the observed increase in T-cell proliferation after exposure to serum from schizophrenic smokers. We have demonstrated that this effect was not due to differences in nicotine metabolism as cotinine levels were not significantly different in the sera of schizophrenic and control smokers. We also excluded the possibility that the effect was due to alterations in the inflammatory response by showing that the concentrations of IL-10 and IFN-g in serum from schizophrenic and HC smokers were comparable.